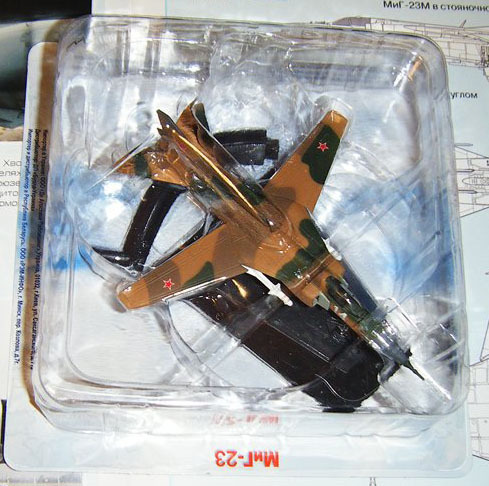 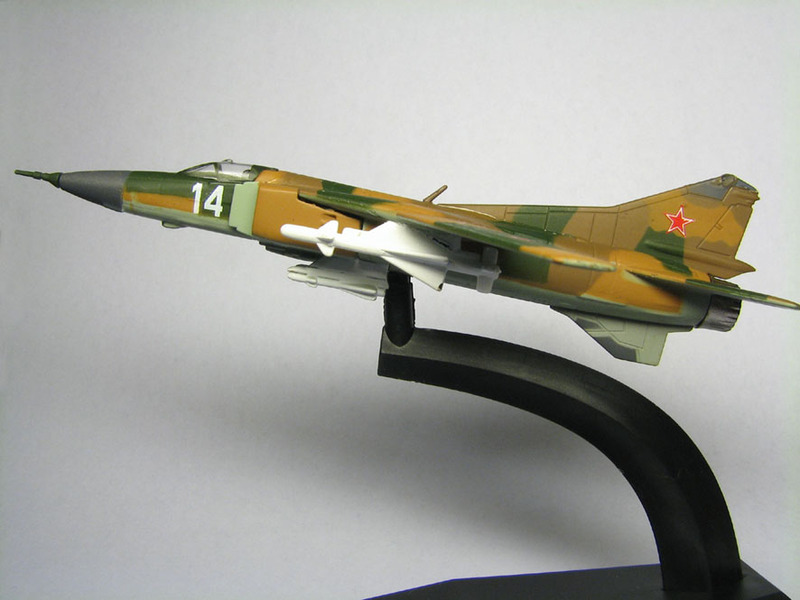 The Mikoyan-Gurevich MiG-23 (Russian: Микоян и Гуревич МиГ-23; NATO reporting name: "Flogger") is a variable-geometry fighter aircraft, designed by the Mikoyan-Gurevich design bureau in the Soviet Union. 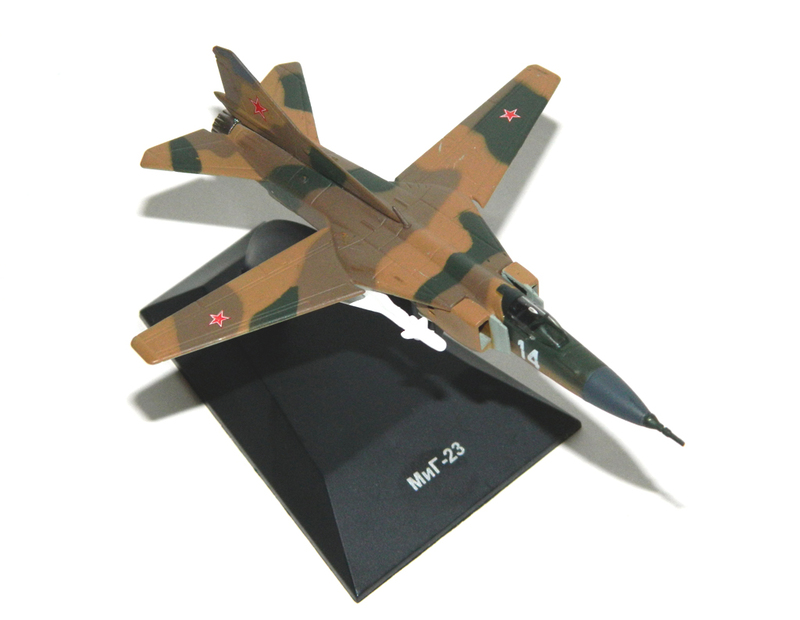 It is considered to belong to the Soviet third generation jet fighter category, along with similarly aged Soviet fighters such as the MiG-25 "Foxbat". 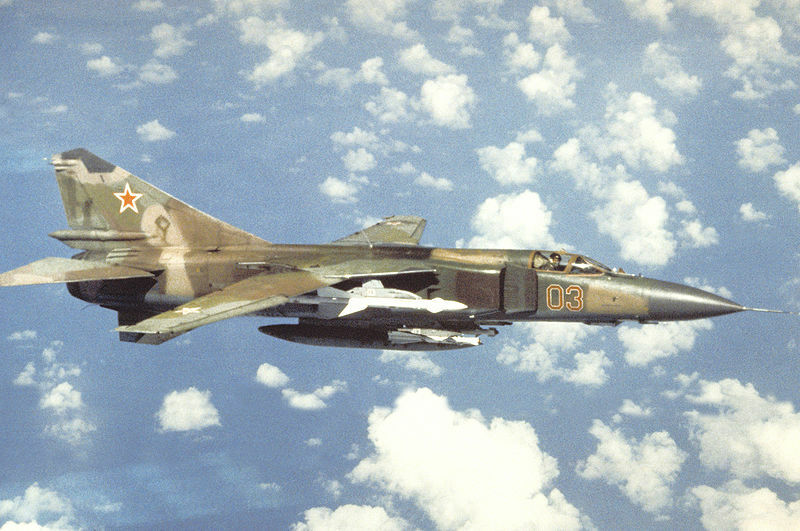 It was the first attempt by the Soviet Union to design look-down/shoot-down radar and one of the first to be armed with beyond visual range missiles, and the first MiG production fighter plane to have intakes at the sides of the fuselage. 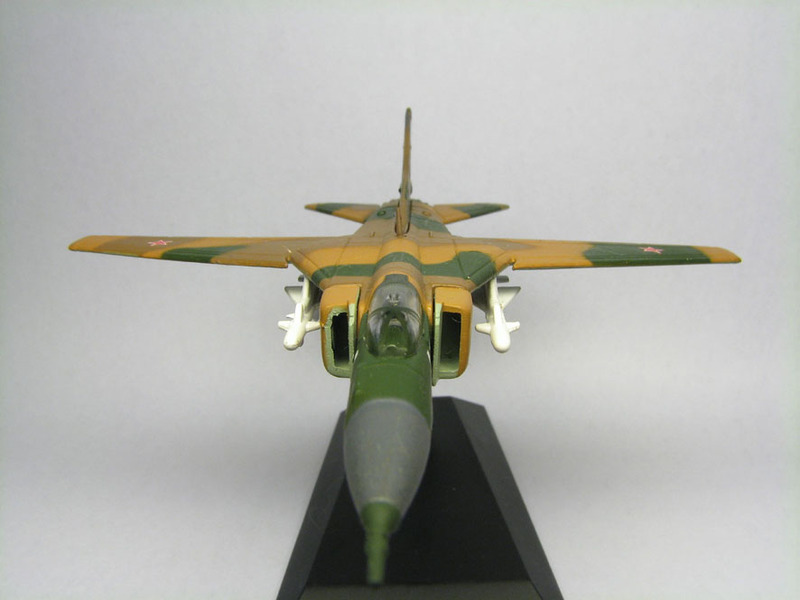 Production started in 1970 and reached large numbers with over 5,000 aircraft built. 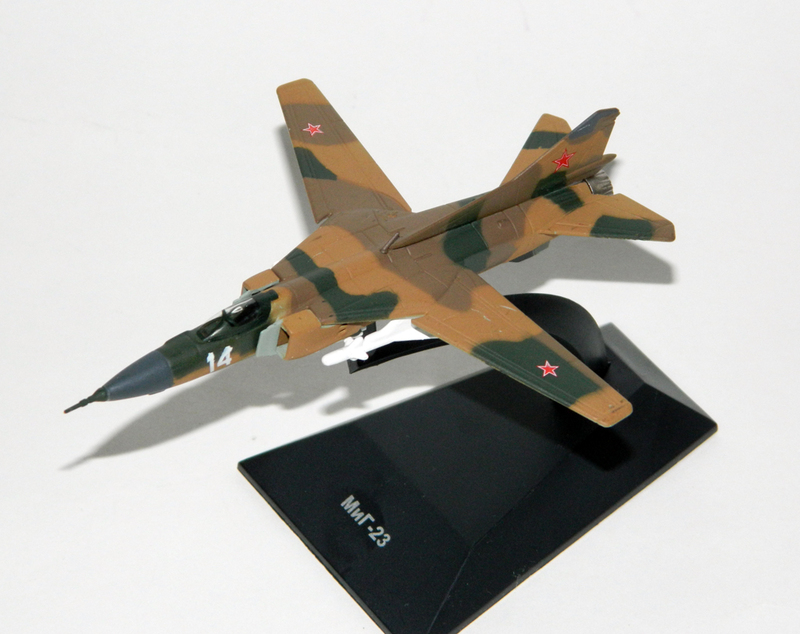 Today the MiG-23 remains in limited service with various export customers.